Stunning single story family home situated on a corner lot with exceptional curb appeal is ready for NEW ownership! Light and bright throughout, the open floor plan offers a large great room with an amazing kitchen that boasts rich dark cabinetry, granite counter tops, walk-in pantry, stainless steel appliances, gas stove & range, built-in microwave, with center island and breakfast bar. 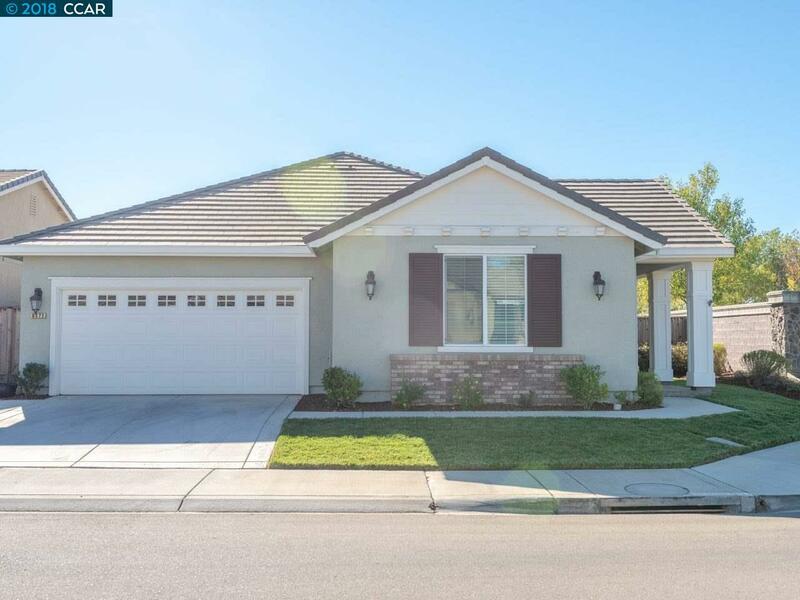 Special features of the property include central heating & A/C, master suite with large walk-in closet, dual pane windows, ceiling fans, tile flooring, new carpet, fresh paint, a relaxing outdoor California room with gas fireplace & TV, and easy maintenance landscaped yard. All set in the gorgeous and prestigious gated community of The Lakes which offers security guarded entrance, beautiful parks, and lovely lake settings. With easy access to schools, shopping, and parks located just minutes from the Delta, Discovery Bay Marina and Orwood Resort. This is one you wont want to miss!